Shop Now and GEAR UP for Memorial Day. 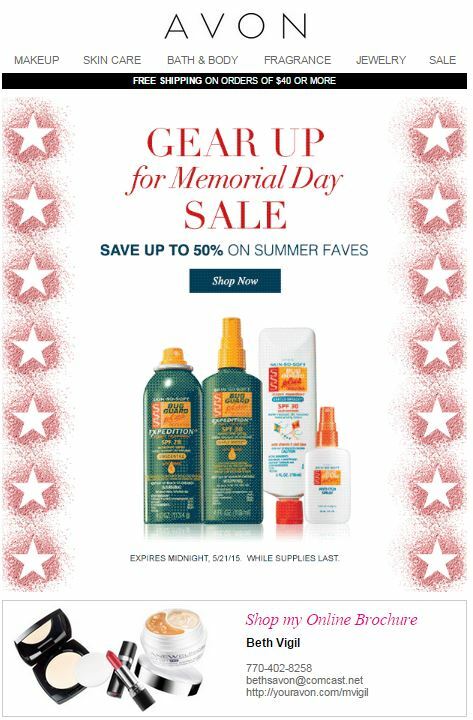 Save up to 50% on Summer Faves with the Avon Memorial Day Sale!. 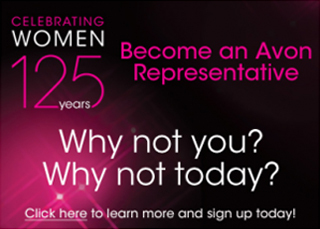 Save on Makeup, Skin Care, Bath & Body, Fragrance, Jewelry and more. This offer expires at midnight, May 21, 2015. Good while supplies last.